The Panel Cooler which we Manufacture using sophisticated technology is an efficient fully hermetical refrigerating compressor with oscillation proof arrangement. The axial fans in the Panel Cooler used for ventilation of the condenser and evaporator assure through airing of the switch cabinet. On the flanging side of the Panel Cooler unit there is an encircling packing of mossy rubber to guarantee perfect fastening between the inside and outside. 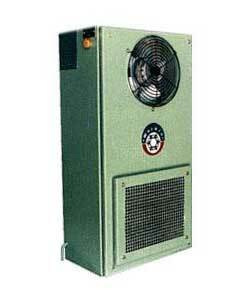 We are counted as one of the leading Manufacturers, Suppliers and Exporters of Panel Cooler.